I think I've mentioned on here a couple of times that I've been suffering from incredibly brittle, flakey fingernails (sorry if you're eating whilst reading this). Whether it was because of my weight loss (66.5 pounds and counting bitchez) or because of an extended period of wearing nail varnish every day, who knows. I tried all sorts of nail strengtheners, none of which made even the slightest bit of difference and one of which actually made the problem worse (OPI Nail Envy I'm looking at you). 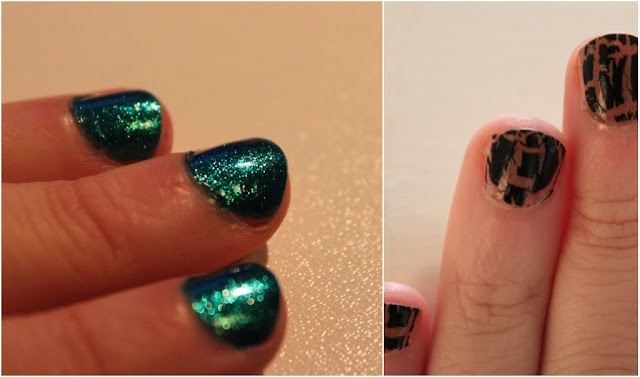 I stopped wearing nail varnish completely but still the problem remained. Then, a couple of weeks ago, I happened to be in Boots, perusing the vitamin aisle (I'm a bit of a vitamin obsessive) when I saw Perfectil. I'd never heard of it before and, at £8.99 for 30 tablets, they were far from cheap but I decided to take the plunge. Perfectil is also supposed to help with nourishing hair and skin. Skin I can definitely vouch for, hair I'm yet to see a marked difference. I realise this isn't the sort of thing I usually post about but I thought I'd share the knowledge as I've seen a few of you girls mentioning nail problems recently. Oh, and that gorgeous blue/green sparkling wonder on my nails in the first picture? 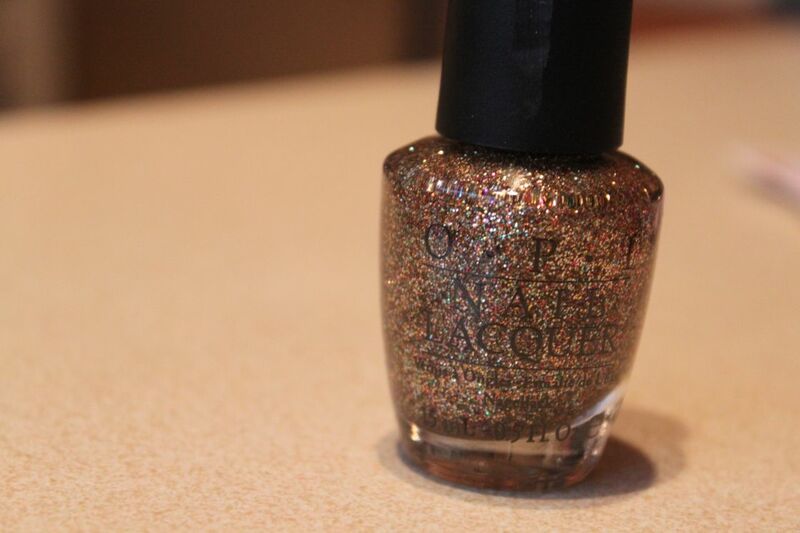 OPI's Catch Me In Your Net. Best. Nail. Varnish. Ever.